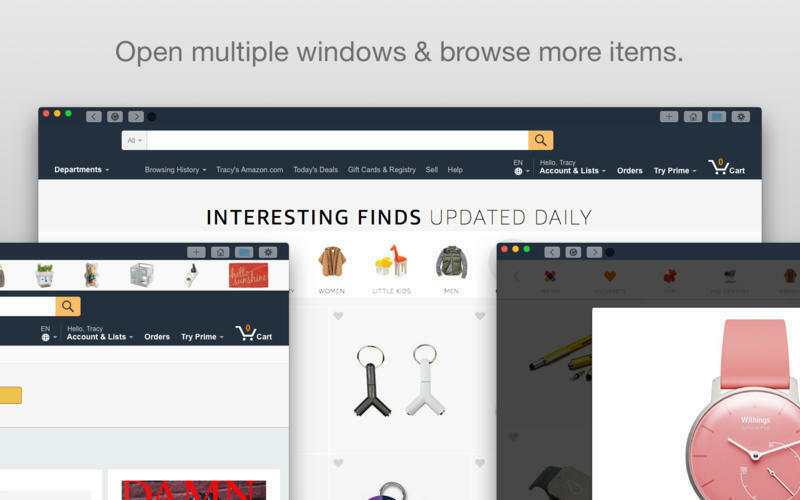 Access Amazon without a Web browser (was PrimeApp for Amazon). Is there a better alternative to iBuy from Amazon? Is iBuy from Amazon really the best app in Lifestyles category? Will iBuy from Amazon work good on macOS 10.13.4? 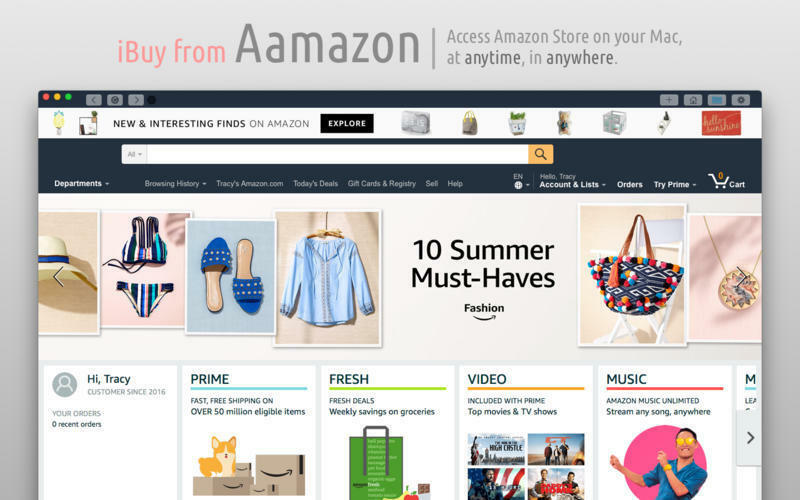 iBuy from Amazon (was PrimeApp for Amazon) allows you to access Amazon, anytime, anywhere. It provides a responsive layout which allows you to browse products and shop on Amazon, which is much easier than in a web browser. 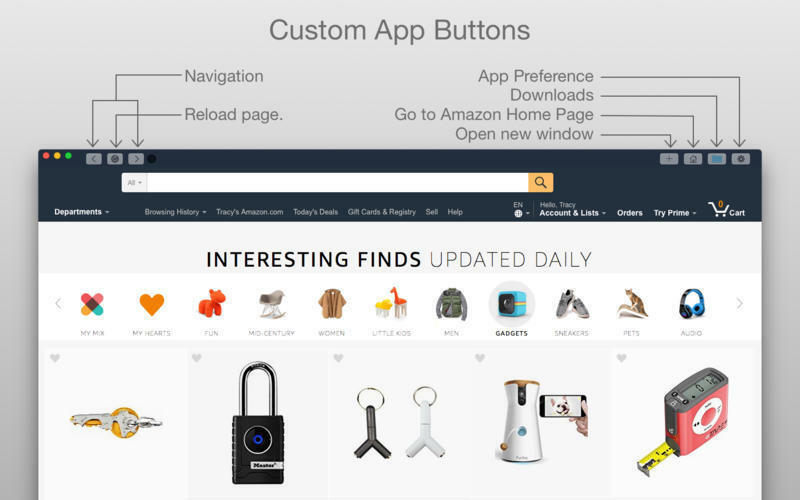 It comes with useful custom buttons which will help you access Amazon with ease. 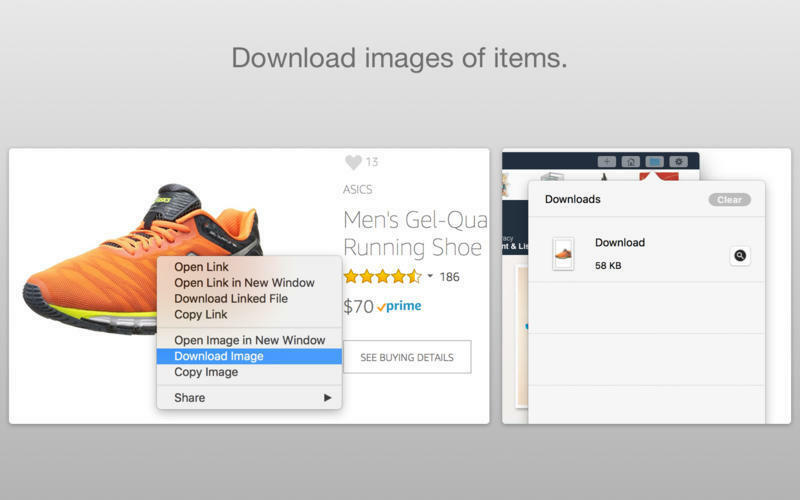 With just a single click on its Dock icon, you will be able to go right into Amazon in seconds. iBuy from Amazon needs a review. Be the first to review this app and get the discussion started! iBuy from Amazon needs a rating. Be the first to rate this app and get the discussion started! 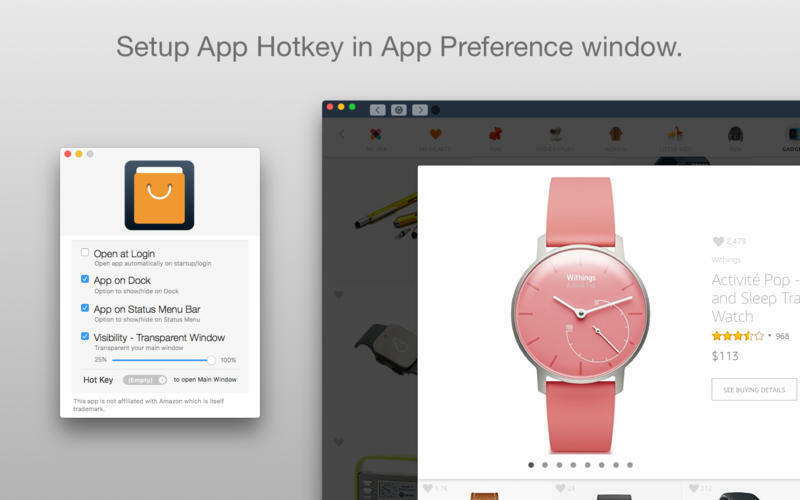 Disclaimer: Amazon was not associated with the development of the app. The Amazon logo, name, and artwork are property of their respective owners.